This is the second time we have used A to B moving and we were once again thrilled with their service. Bob & Patrick were our movers, they are incredibly hard workers, friendly and extremely helpful. We ran out of room in our crate and they loaded our remaining house items in their truck and followed us to a storage facility and unloaded and packed another crate for us. They worked so hard for 6 hours, took great care of our things and happily came with us to a second location of moving when we were running short on storage space. I would highly recommend them and we will be using them again later in the fall when our new home is built. Thanks again A to B Moving! A to B: Absolutely Brilliant and Above & Beyond! Thank you so much to Patrick and Brian for a fabulous move! They arrived exactly on time, came in and organized what could only politely be called chaos, packed all of my worldly goods down a driveway that resembles a hill in San Francisco, arrived quickly and safely at my new home, calmed me down when I realized the carpets hadn't been cleaned yet and I wouldn't be able to put anything on them for two days, and relocated everything to spaces that would keep my possessions safe and dry! The guys were both fast, efficient, polite, communicative, great in a crisis, didn't grumble at my awkward packaging of things like The Leg Lamp or a camel saddle, watched out for Miss Kitty who is 100% deaf and likes to be underfoot, and never seemed to stop working!!! I would highly recommend A to B Moving - professional from start to finish! I would not hesitate to recommend A to B Moving. The two movers arrived on time and were positive and cheerful throughout a very long and grueling move. These were professionals who worked well as a team and whose experience allowed them to make quick - and correct - decisions. In my 60 years I have never seen anyone work so hard, and it was a very hot summer day. Besides the regular things people move, we had hundreds of boxes of books and many boxes marked "fragile." The move took two trips - each one packed to the roof - and absolutely nothing broke. We definitely got our money's worth with A to B moving. This firm is the royalty of firms. One of the best top 10 in Canada. Thank you for the amazing job you did with our move. And thanks especially for going above and beyond when we discovered the error in our closing date. Having A to B on our side really helped turn the problem into an opportunity. The skill with which they packed the truck was amazing. We couldn't believe the amount that went into the truck – and nothing even bent. Amazing movers! Outstanding and professional service! Our movers were polite and so fast I couldn't believe my eyes seeing them lift things to the truck. Will recommend to all my friends, made our move so simple and easy. Thank you A to B! A+ really I mean it. The team from A to B Moving were excellent – polite, professional, efficiently and patient with getting things arranged in our new home. I am writing to express my satisfaction with the movers and moving experience I had recently with your company. ... I would rate their speed as ‘very good’, their attitude as ‘excellent’, and their service overall to be ‘very good to excellent’. I would not hesitate to use A to B again. Why did I ever [move] myself? Thank you! How fortunate that we chose A to B Moving for our Victoria to L.A. Home move. Thanks specifically for the flexibility you showed by fitting the move within our tight time framework; the skillful and scratch free manner in which you loaded and unloaded our home contents; the punctuality with which you delivered the contents to their destination; and, your reasonable fee. Best ever. Very courteous, polite and fast! I was so impressed by the fast and courteous service provided by your movers. The guys were pleasant and friendly, and worked like bees. They got everything moved quickly, safely and sensibly. Most impressive of all, there were undaunted by the prospect of wrangling my mammoth couch up three floors of skinny stairwells. 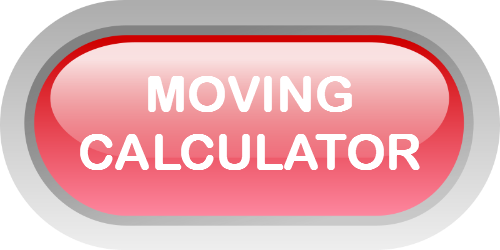 I have a reputation of frequent moves, so I am often approached for advice on movers. I will happily and enthusiastically recommend your company to everyone. I am writing to say how pleased I was with our recent move. Your staff were courteous, efficient and reliable. The quote you provided was reasonable and the time allotment was exact. I would be more than pleased to recommend A to B Moving to anyone contemplating a move. It was great! The guys were incredibly friendly, helpful and very careful. Your movers were awesome. Fun and friendly yet incredibly hardworking. I have never experienced movers as professional, efficient and ethical in all my 5 moves. Would hire them (specifically) in a heartbeat next move. Thank you for making moving so easy. Thank you to you and your staff for the excellent services you provided in regard to this recent move. Everything was done “on time” and in the manner agreed upon. Packing and unpacking were superb and your people were friendly and very accommodating at all stages. The time and effort you took with art pieces and similar objects, to ensure their safe disposition, especially pleased us. Unlike the MANY other moves we have endured through many years of government service with other “so-called” big name movers, you was “hands down” the best. Your rates were very competitive and we were pleased that the estimate quoted was on budget. Again, many thanks! Thanks for a great move that proved to be in the end as easy and stress-free as a move can be. Your team's professionalism and hard work made our relocation a pleasant experience. We appreciated in particular your determination to put our furniture and effects where you did even when doing so was most difficult and exhausting and in my view beyond the call of duty. I thought your movers were very pleasant and co-operative, despite the fact that my move turned out to be on probably one of the hottest days of the summer. They handled my possessions with care and did not let the heat affect either their speed or attitude. They seemed to have a good understanding of just how difficult and stressful a move can be and did what they could to make the process and little easier for everyone. Your crew is superb! They worked efficiently and quickly from the time they arrived, until the time they left. Their physical efforts, courtesy and friendliness reminded us that there are companies like yours that take pride in their work. Very refreshing and you are to be congratulated. Should an occasion arise where we are asked to recommend a moving company, yours will be on the top of any list. I was extremely pleased with all aspects of my move. Family and friends who were helping me were also impressed and all said they would recommend your company for future moves. Very dedicated workers who went out of their way to help with any suggestion or tasks asked of them. Many thanks to all. I just want to let you and your team know that I've been super pleased with A-to-B Moving Ltd. I've used your company (via Great Canadian Vanlines) for my move to Victoria, within Victoria a couple times and most recently to Vancouver. All of my moves have been well-managed and professional from the administrative end. Also, the movers themselves have been friendly and efficient. Thank you for several positive moving experiences. I have and will continue to recommend A to B Moving Ltd. to anyone I know in the region looking for a reputable moving company. We were extremely pleased and impressed by the service provided by A to B Moving. From our first phone call through to delivery the entire team was professional, helpful, knowledgeable, experienced, polite, good-humoured, and responded promptly to all inquiries. Our furniture, china, etc.. were packed carefully and arrived in perfect condition. If you are looking for a stress-free move, hire this company. I would rate A to B Moving 5+ stars out of 5. I would like to say thank you for the excellent service provided by Wayne and Jason. They turned up on time despite the long drive. It was a very hot day but their attitude was positive, our goods were moved in a timely manner according to our agreement. I cannot thank Jason enough for his quick thinking. These two men are a credit to your company and I would recommend them in a heartbeat. We have used moving companies a few times but your company is by far the best. Two very satisfied customers. Before the event totally escapes our memory, I wanted to send compliments and sincere appreciation for the wonderful service I received during my local (Victoria, BC) residential move in September. The team was friendly, quick and careful with my furniture--including my new and prized piano. Far from keeping me waiting on an anxious day, they actually phoned ahead of their expected arrival time to ask politely if they could come EARLY, since they'd finished a previous appointment sooner than anticipated. I was delighted to be in my new place with the move completed, much earlier in the day than I had thought I would be. I would like to thank you for the helpful and prompt assistance in making the booking for the move, also. I will definitely be recommending your company to friends with my own very satisfactory experience in mind.